The port of Naxos. 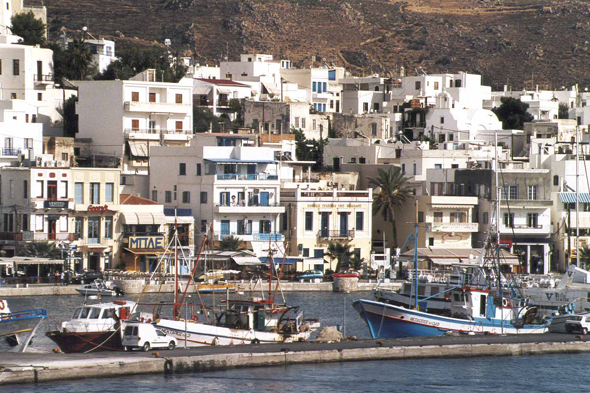 The island of Naxos is the largest of the Cyclades. The mount Za (or Zeus), which culminates to 1010 m, is highest of all the archipelago. The island produces in abundance citrus fruits, olives, potatoes and a wine.